Reach branches up to 3.5 metres high with the Ryobi OPS1821 One Plus™ pruner. 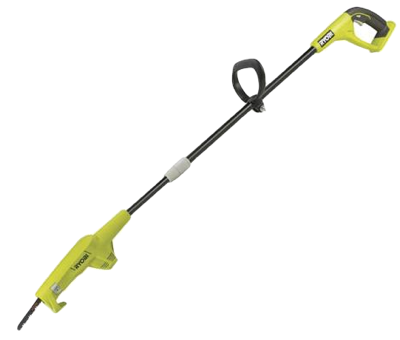 Enjoy the cordless freedom of this battery-powered pruner which has a 40cm extendable shaft allowing you to prune trees without the use of a ladder. The integrated branch hook will pull branches closer towards the ground. The Ryobi OPS1821 cordless pruner is equipped with a 10cm blade with tool-less blade clamp for quick and easy blade changes. Part of Ryobi's One Plus™ cordless range of garden tools, the OPS1821 pruner accepts either 18V One Plus™ NiCad or lithium-ion batteries.